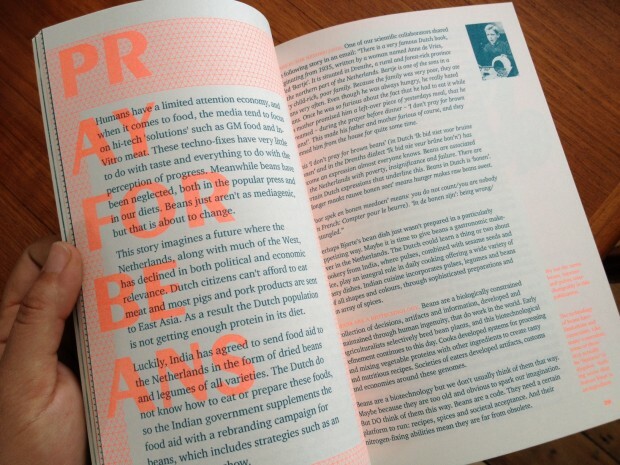 This book documents the Center for Genomic Gastronomy’s project Eat Less, Live More, and Pray For Beans, which was carried out in collaboration with the Netherlands Consortium for Healthy Ageing in the spring of 2012. 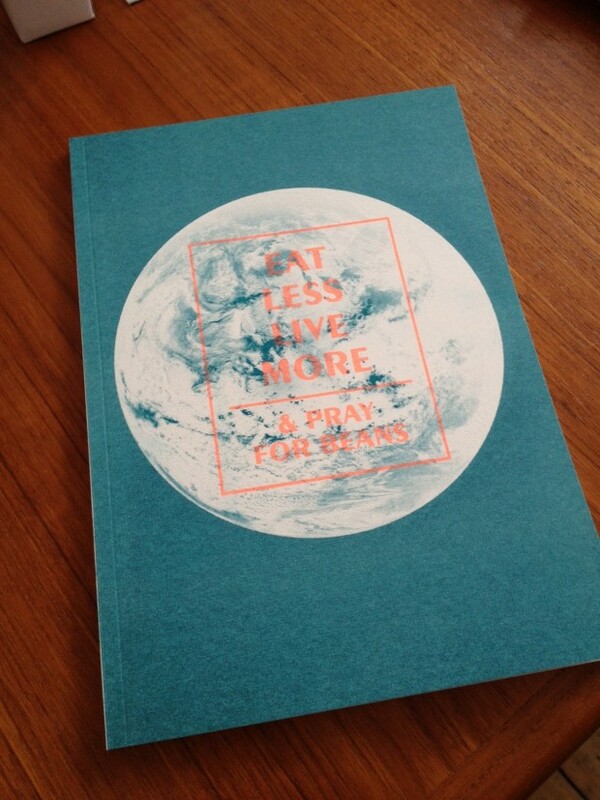 Eat Less, Live More, and Pray For Beans, was supported by the Designers and Artists for Genomics Award. The Designers & Artists 4 Genomics Award highlights and explores the exciting and novel possibilities between design, artistic practice and life sciences. Conceived by the Netherlands Genomics Initiative, the Centre for Society and Genomics, and Waag Society, the Designers & Artists 4 Genomics Award aims to stimulate emerging designers and artists to delve into the world of bio-art, and produce new work in close collaboration with the Netherlands most prestigious Genomics Centres, for example in the fields of sustainability, food, health, bio- informatics, agriculture, and safety.